December 19, 2013  At the London trial of editors for the now-defunct News of the World, prosecutors played recordings of messages left by Prince William for his then-girlfriend. Editors from the tabloid are on trial for their alleged roles in the hacking scandal. July 15, 2013  A group of good guy hackers showed us how they can listen in on phone conversations and read text messages of Verizon customers simply by using inexpensive store bought technology. 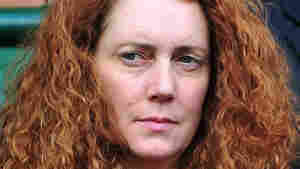 March 13, 2012  Former News Corp. International executive Rebekah Brooks, her husband and four other men are arrested a second time by British police in connection with the widening phone hacking scandal. March 7, 2012  In the first hour of Talk of the Nation, a post-Super Tuesday edition of the political junkie. In the second hour, caring for aging inmates in overcrowded prisons, and protecting yourself against cell phone hackers. February 2, 2012  The Times is Britain's oldest national newspaper. 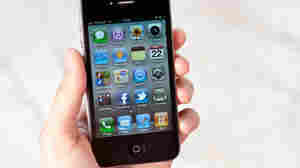 And the investigation focuses on the hacking of email accounts. July 18, 2011  Congressional negotiators and President Obama talk about the debt ceiling; new developments in the British phone hacking scandal; Gen. David Petraeus transfers control in Afghanistan; and there are dangerous heat conditions in the central U.S.
April 13, 2011  British tabloid News of the World made headlines this week by apologizing for hacking people's phone mail and secretly listening to their conversations for stories.